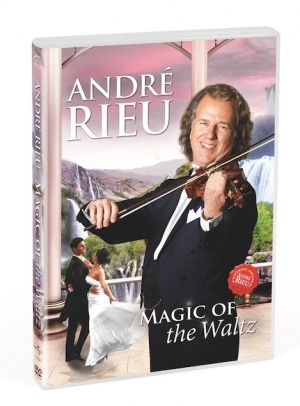 From a very early age, André Rieu knew that there was something magical about waltz music. Defining this magic and making it accessible for everyone became his life’s mission so he was crowned by his audiences as “King of The Waltz”. Magic of the Waltz on DVD presents the most beautiful and enchanting waltzes, selected, curated, performed, and sometimes even composed, by André himself. These are just a few of the musical highlights: The brand new “Windsor Waltz”, written for the occasion of Queen Elizabeth II’s 90th birthday, the famous “Blue Danube”, “Edelweiss”, “The Godfather” as well as the incredible “And The Waltz Goes On”.